Home USA Slinky Dog Dash at Disney's Hollywood Studios Begins Testing! Slinky Dog Dash at Disney's Hollywood Studios Begins Testing! 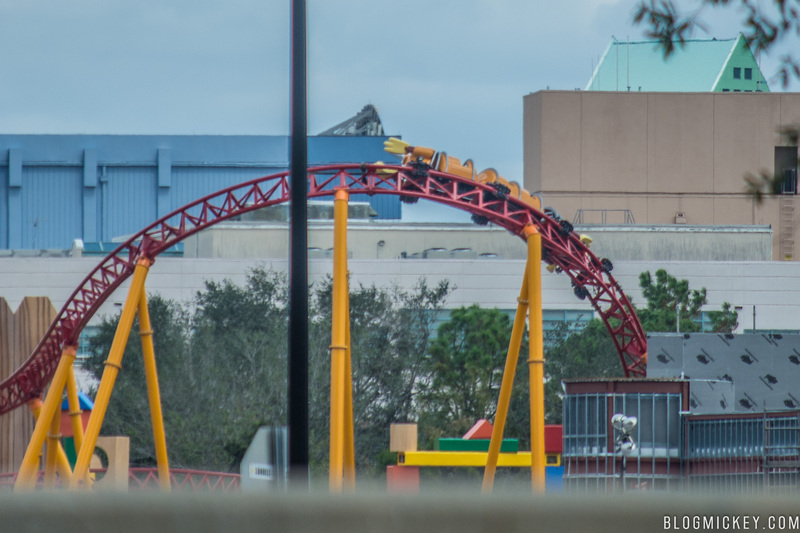 Slinky Dog Begins Testing Phase at Disney! No video has surfaced as of yet, but a picture has surfaced of the new Disney coaster in its testing phase. It is just the beginning of a number of large expansions in the Disney World Resort. The roller coaster uses a series of rings around the coaster train to give the illusion of a slinky coiling and uncoiling. This illusion can be seen in the currently operating ride at Disneyland Paris "Slinky Dog ZigZag Spin" seen here by DLP Guide. As you can see in the picture, the train is extremely short and not at full length. The train should have 6 cars (5 that hold passengers + one lead car.) This could mean that it is just a picture of a slow run where it is actually being pulled through the track by a lead car. Disney's Toy Story Slinky Dog-Coaster is a coaster by Mack that is slated to open in 2018, most likely in the summer after the tourist season is over. It looks like an extremely long coaster by the models with multiple launches. We'll update you more once a video is found of the testing! "Andy’s assembled his awesome coaster kit… and Slinky Dog is ready to take you for a wild ride on a crazy coaster—one that gives you a glimpse of all that Toy Story Land has to offer. Below is a crude animation concept from Disney Parks of the new ride. We still cannot believe all the crazy things Disney has planned for Florida, and we're sure that the new Toy Story land coaster will be an awesome ride that everyone can enjoy! Update: As no videos have emerged, it does seem the coaster was just doing a slow pull-through, instead of the widely reported testing phase.